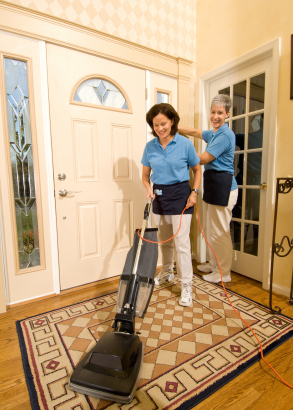 Two house keeping maids working in a high end entry way to a residential home. One made using a vacuum cleaner. Two charming cleaning women, dressed in blue shirts and blue aprons dust an upscale luxury kitchen. One is dusting glass light fixtures hanging from the ceiling while the other looks at her while dusting a granite counter top. 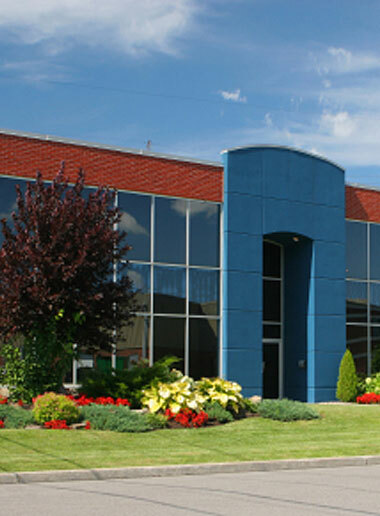 Texoma Cleaning provides professional turnkey commercial janitorial and residential cleaning services. Located in Denison Texas, we service the Texoma region and surrounding cities of North Texas and Southern Oklahoma. For over 10 years, Texoma Cleaning has delivered the North Texas and Southern Oklahoma communities with customized janitorial and residential cleaning services which meet the highest standards for homes and businesses in Grayson, Cooke and Fannin counties. 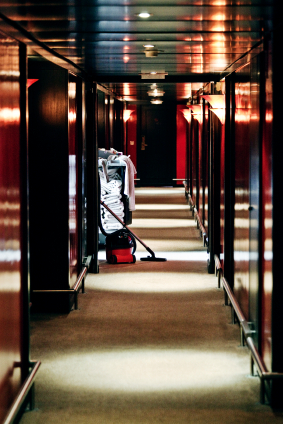 Licensed, bonded and insured, our versatile staff here at Texoma Cleaning will make sure that you have peace of mind and trust that our professional staff is well trained and here to meet and maintain all your commercial & residential cleaning needs. We invite you to call us right now at 903-814-8806 and find out more about how we can help you with all your cleaning needs. Keeping your business & home clean is what we do best! 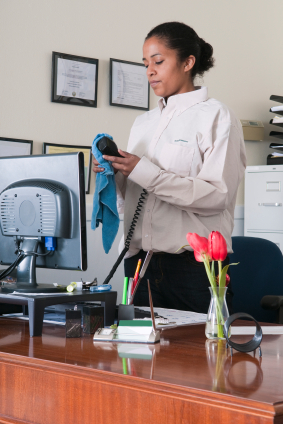 Texoma Cleaning offers professional janitorial services for your business as well as residential cleaning services with a variety of types of cleaning packages and frequency. Every client is unique, and here at Texoma Cleaning, our primary goal is to make sure your home, apartment, business, commercial building, or construction locations are professionally cleaned and all your needs are met. 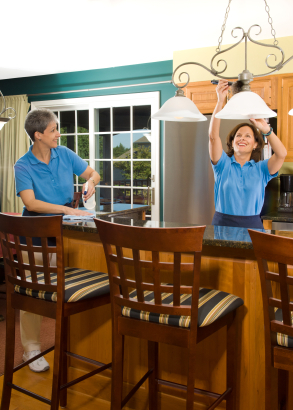 If you have special requests with periodic additions like cleaning an oven, a complete refrigerator cleaning, or stove cleaning, our staff will do our best to accommodate all of your needs in the time you have requested. You can begin the process of finding out more by giving us a call right now. 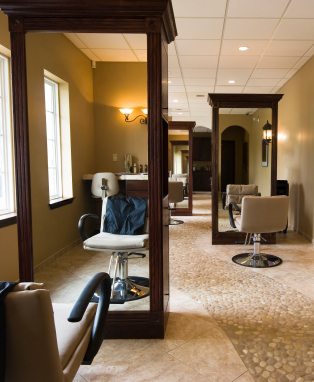 We can schedule a regular time to make sure everything is completed to your satisfaction. What Would You Like Cleaned? Texoma Cleaning will provide whatever type of cleaning services you need to have completed. Maybe you need weekly service, a construction clean up for a new home or a remodel, or just a one time deep cleaning of your home or apartment. If you are a realtor, that next listing may need a one-time clean or a weekly touch up. Texoma Cleaning can offer you professional cleaning services with weekly cleaning, bi weekly cleaning, monthly cleaning, or one-time cleaning at very affordable prices. Texoma Cleaning Offers Customized Pricing To Suit Your Needs! Now that you have an idea about what Texoma Cleaning does, we personally invite you to review our standard cleaning packages and services to see if any meet your special needs. If you prefer to contact us, you may call us at 903-814-8806 and a qualified member of our staff will be able to answer all your questions. If you would like someone to contact you later or it’s after business hours, please click here and complete the Contact Form, and someone will contact you at the earliest opportunity. Texoma Cleaning provides: Cleaning Services Sherman Texas, Cleaning Services Denison Texas, Cleaning Services Pottsboro Texas, Office Cleaning Denison Texas, Office Cleaning Sherman Texas, Janitorial Service Denison Texas, Janitorial Service Sherman Texas, Maid Service Denison Texas, Maid Service Sherman Texas, please call us today!